June 17, 2016, 2 p.m. The Washington Post already puts all of its editorial content on Instant Articles; The Atlantic runs most of its content there. 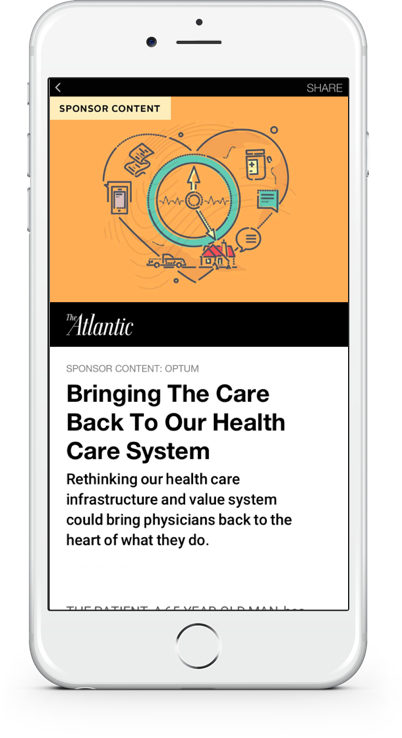 “We know that our audience is engaging really deeply with our native content on our site,” said Hayley Romer, The Atlantic’s SVP and publisher. “We’ve been pushing Facebook” to add the feature. The Atlantic expects native campaigns to drive 70 percent of its ad revenue this year, up from 60 percent in 2015. Display still has a place, but we believe that the digital advertising of the future will be dominated by stories conceived by advertisers, clearly labelled so they can be distinguished from newsroom journalism, but consumed alongside that journalism on their own merits. Owen, Laura Hazard. "The Washington Post and The Atlantic start running sponsored content on Facebook Instant Articles." Nieman Journalism Lab. Nieman Foundation for Journalism at Harvard, 17 Jun. 2016. Web. 25 Apr. 2019. Owen, Laura Hazard. "The Washington Post and The Atlantic start running sponsored content on Facebook Instant Articles." Nieman Journalism Lab. Last modified June 17, 2016. 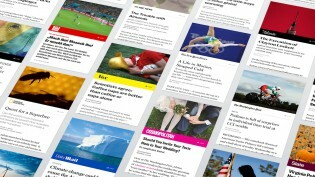 Accessed April 25, 2019. https://www.niemanlab.org/2016/06/the-washington-post-and-the-atlantic-start-running-sponsored-content-on-facebook-instant-articles/.